Few people know that there were direct child survivors of 9/11, and I am looking to change that…because I am one of them. As a teenager looking for relief and for answers, I was swept through a revolving door of therapists and psychiatrists who fit my symptoms into one diagnosis, then another, scribbling out prescriptions for medications that I had severe reactions to, and yet, nothing changed. Things only got worse. Years later, as I begin to answer people’s questions about my experience, I’ve been asked more than once whether I find it surprising that it took so long to finally get the diagnosis of Post Traumatic Stress Disorder (PTSD) and the proper treatment for it. Similarly, MyPTSD.com identifies just some of these diagnoses as Acute Stress Disorder, Adjustment Disorder, Attention Deficit Hyperactivity Disorder, Bipolar, Depression, Obsessive Compulsive Disorder, and Panic Disorder. Studies – like this one – that specifically examine PTSD presenting itself as another disorder are few and far between. I decided to ask Dr. Jeffrey L. Reynolds, Ph.D, CEAP, SAP, President and Chief Executive Officer of the Family and Children’s Association, who I had recently connected with, whether the failed attempts in my own personal journey was as surprising to him as it was to so many others. “I don’t think many clinicians have a clue how to deal with PTSD or understand how to treat it right. That, or they don’t treat it as a primary diagnosis. It gets thrown in at the end like, ‘Yeah, and this happened.’” said Dr. Reynolds. He went on to describe that there are several obstacles to getting the PTSD diagnosis, especially in young people, including insurance and time constraints. Most of all, though, there is usually a pressing need to address whichever symptoms are presenting themselves most clearly, feel most urgent and are easily fixable. A diagnosis like bipolar, ADHD, alcoholism or depression allows the doctor to come up with a game plan, giving their patient what they believe will be a clear path to treatment. In some cases, though, it just seems like a “simpler” road for both parties to go down. 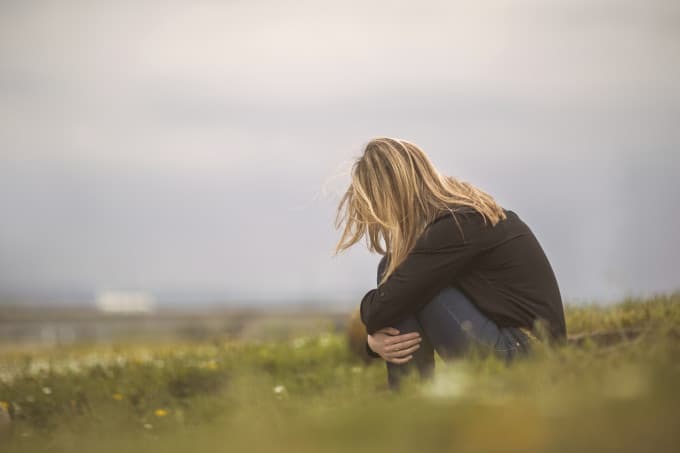 Many therapists enter the field for specific reasons, one of those is often their own personal connection to wanting to help others suffering through some of the same experiences and challenges they went through. “It’s much easier for clinicians to swat at the symptoms rather than peeking back and getting into topics and issues that might make them everyone uncomfortable,” Dr. Reynolds said. Suhadee Henriquez, LCSW, ACT, PE, is a flight attendant and has her own practice called The Flying Psychotherapist. On September 11th, she was departing from John F. Kennedy Airport en route to California around the same time that the other flights were hijacked. As she watched the scene unfold on the live TV onboard, she had a hard time understanding what was happening. At the same time, she also had to try and assure the people on board that everyone would be okay, when in reality, nobody had a clue what was going on. Although the traumas she listens to while walking her patients through Prolonged Exposure Therapy (PE) are different in nature, they are still a lot to take in. Some clinicians, she added, are not equipped to diagnose PTSD because, in many cases, they can’t afford the extra training it takes to develop those particular skills. Picking another diagnosis may allow a clinician to draw inferences and conclusions, but unlike a medical condition where you can see it and feel it, it remains a fairly imprecise science. Picking another diagnosis may allow a clinician to draw inferences and conclusions, but unlike a medical condition where you can see it and feel it, it remains a fairly imprecise science. For my part, I held on to each diagnosis I got and used it as a life raft to keep hope alive: it has a name, there is a way, I can be fixed. But with each medication that made me dizzy, made me throw up, or did nothing at all, with each incorrect diagnosis and failure to get better, I was re-traumatized, reaching out for help and suffering the consequences of failed attempt after failed attempt. If we could connect the dots on our own, we would. But young people -especially children – don’t necessarily even realize they are living with trauma or have a history of trauma…and it never comes up. They also often lack the words to describe what they’re experiencing on their own, so there is something to the power of suggestion when in a room with someone finally putting words to some part of what they’re experiencing. It’s up to the clinician to take a multi-faceted approach to any given problem when someone is looking for a solution – not just to what’s happening in the “here and now,” but to what might be driving that train in the first place. “There are folks who don’t realize they’ve been through trauma, like a young person who witnesses violence, is bounced around in foster care, or grows up in an environment fraught with threat of violence, poverty, and homelessness. That’s traumatic,” said Dr. Reynolds.